Patagonia is the most beautiful, awe-inspiring and unique place in the world. Who you visit this place with will bring completely different experiences. But, what most people don’t dare to do is to travel solo. 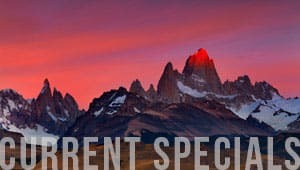 Here are 5 reasons as to why we at Quasar Expeditions think traveling solo to Patagonia is an option you must consider. The people of Patagonia are perhaps the kindest, most welcoming and warm people you will ever meet. When traveling alone you will be able to experience their hospitality fully. They will constantly make sure your visit is going much better than you planned and expected. When alone, you are, in a way, made to connect with the people around you. This is definitely not something bad in Patagonia. The rich culture will amaze you, along with a completely different perspective on life. Their relaxed, yet down-to-earth approach to life is something you will definitely want to catch on to as soon as you arrive. Being surrounded by nature while accompanied by people close to you will leave the memory of the remarkable beauty of the landscape. But being in the same place while alone, will not only leave this amazing memory, it will also be a place for personal reflection and connection with your inner self. Traveling to Patagonia is a challenge in itself. You must be prepared for anything and everything, sunshine in the morning can easily turn into strong winds and pouring rain that will give way to the sun once again, only this time, the rain has given the rocks and pasture a graceful shine. Patagonia’s unpredictability only adds to its gracious elegance (and also to its thrill, having you on your toes at all times). Being alone gives you the opportunity to be spontaneous and make decisions on the spot. It gives you flexibility and the chance to change your plans at a moments notice. With so much to do and see in Patagonia, playing it by ear may be one of the best ways to make the most of your visit, and being able to make decisions and change plans on the spot will only help to do this. To learn more about traveling solo to Patagonia ----> Patagonia Travel.